Carson City – June 6, 2013 – State Treasurer Kate Marshall, Chair of the Nevada Capital Investment Corporation (NCIC) Board of Directors, today joined with leading global private equity asset management firm Hamilton Lane in announcing a $5 million commitment from the Silver State Opportunities Fund (SSOF) to Huntington Capital Fund III, a mezzanine fund providing debt and equity financing to established, small and medium sized companies in the Southwestern United States. This is the first fund commitment by the SSOF, the state’s first in-state private equity program. Earlier this year, the SSOF completed a $2 million investment in Miller Heiman Inc., a global sales performance company located in Reno. 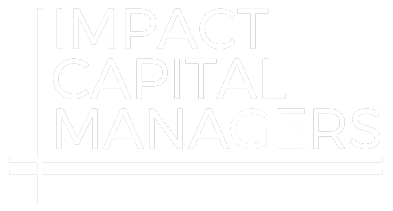 Huntington’s mission is to provide later-stage growth companies with capital and value added resources (financial, industry, and strategic) to help optimize performance, to increase enterprise value, and to provide above-market returns to its limited partners. The Fund targets investments in companies that have a positive impact on their communities, particularly with the potential for job growth and economic development. This is the third private equity fund launched by Huntington Capital, which has attracted a number of institutional investors for its previous two funds. As a result of the commitment, Huntington Capital will open a local Nevada office within the next 6 months. As the fund-of-funds manager for the new Silver State Opportunities Fund, Hamilton Lane is responsible for evaluating and selecting venture capital and private equity funds and co-investments to invest in Nevada, as required by the passage of Senate Bill 75 during the 2011 Legislative Session. Hamilton Lane has complete discretionary authority to make investments based on sound investment criteria. Hamilton Lane is responsible for ensuring that Silver State Opportunities Fund investments are in accordance with Senate Bill 75; that a minimum of 70% of investments must be made in businesses located in Nevada, looking to expand in Nevada, or in businesses wishing to relocate in Nevada. SB 75, up to $50 million from the state’s Permanent School Fund may be invested in private equity in Nevada. The Permanent School Fund is comprised of non-tax dollars. For more information about the NCIC, go to NevadaTreasurer.gov, and then click on the NCIC link in the top navigation bar. Huntington is a lower middle market mezzanine fund that provides debt and equity financing to small and medium sized companies in the western United States. Huntington focuses on helping its portfolio companies maximize their performance while generating a positive impact on communities. Hamilton Lane is an independent financial institution that provides discretionary and non-discretionary private equity asset management services to sophisticated investors worldwide. With offices throughout the U.S., London, Hong Kong, Rio de Janeiro, Tel Aviv and Tokyo, Hamilton Lane offers a full range of investment products and services that enable clients to participate in the private equity asset class on a global and customized basis. Founded in 1991, Hamilton Lane has more than 190 employees and approximately $160 billion in total assets under management and supervision. For more information please visit www.hamiltonlane.com.